We’ve known it for a while now but it sure is great to see vinyl flooring get the centre spot on primetime TV. Last week we saw exactly that when a stunning pattern vinyl floor transformed a tired 1930s semi detached in Liverpool into something much, much more jaw-dropping. The show was George Clarke’s Old House New Home and if this episode is a sign of inspiration to come, any fans of vinyl flooring need to hit the series link button on their remote. 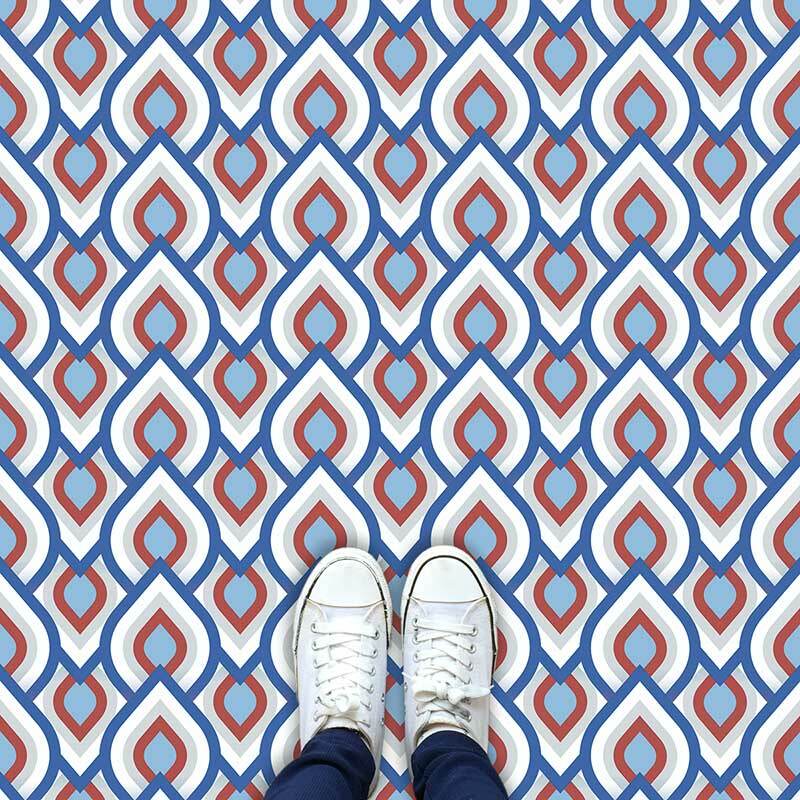 As we expected, the homeowner said she wasn’t totally convinced about the bright pattern but, no surprises, after installation she was completely floored (sorry…). I’ve heard exactly the same with some of the bold designs we supply. What a difference a bit of colour pop creates within a more neutral room. Bold colours on the floor add such a vibrant contrast to a more subtle overall colour theme. The featured bathroom encapsulated everything we’ve been on our soapbox hollering about. The look on George Clarke’s face highlighted it to a tee. 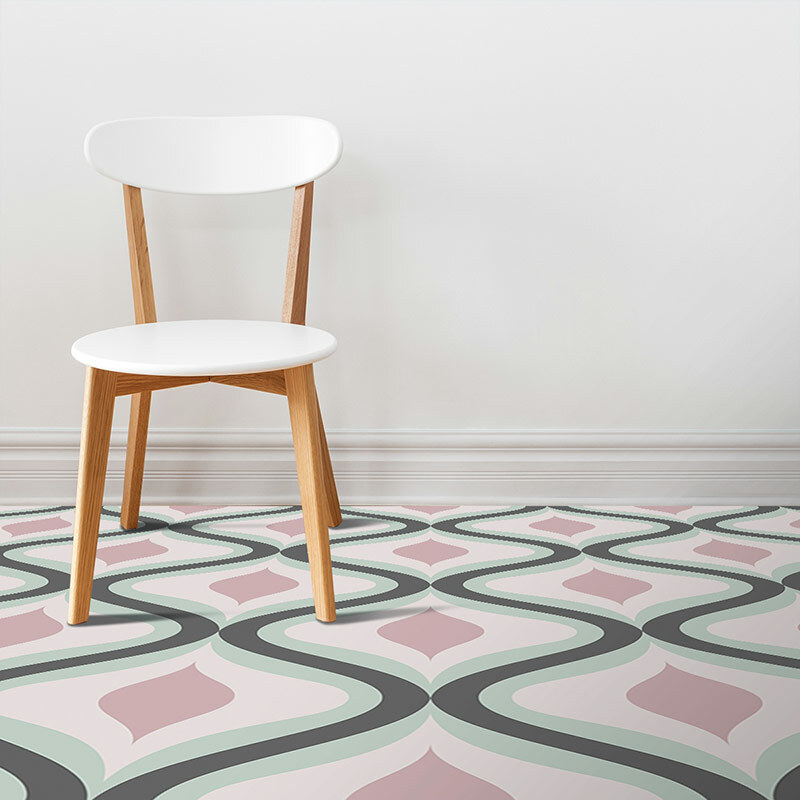 Once you’ve finished here, have a wander over to this post for more on-trend patterned vinyl flooring available from our online store. In a neutral room try adding differing textures. Chrome, glass, rustic wood or linens all play against a simple overall theme and create interesting visual elements for the eye to settle on. Use contrasting tones to break up the space. This is why the bathroom flooring in Old House New Home worked so well. The colours of the vinyl broke up the overall monochromatic feel and gave a punch of colour to a space that looked wonderful to start with, and became so much better with it. Play with shape and angles in furniture and accessories. By using more decorative or modern looking taps, towel rails or other bathroom additions, these shapes contrast against a bathroom’s neutral hues. Some of the taps available are like art sculptures with purpose! Keep the space clean with colour and make these accessories the focal point. Follow the link for more on our new range of modern black and white vinyl flooring. For too long vinyl flooring has been limited to faux finishes – variations of wood effect – or muted colours. Now with modern print technology and our specially sourced direct print vinyl, (almost) anything is possible. 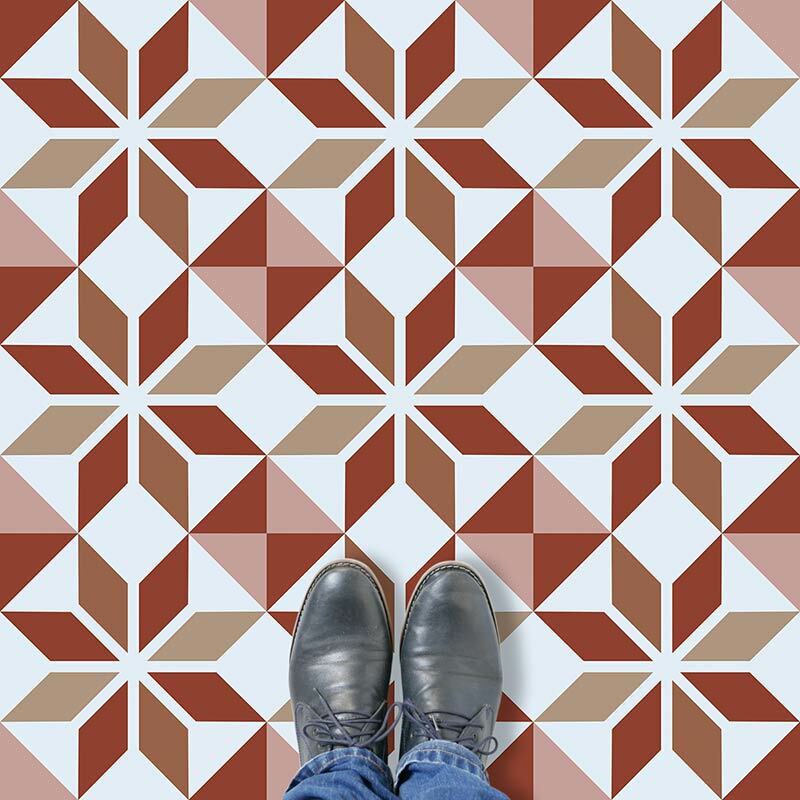 Fancy a similar pattern to the one from George Clarke’s Old House New Home but in a totally unique-to-you colourway? No problem, just get in touch. We don’t charge extra for artwork changes plus we’ll tweak the tones and provide visual proofs until you’re ready for your idea to go into production. I can see why the phrase Vinyl Revival is being used. 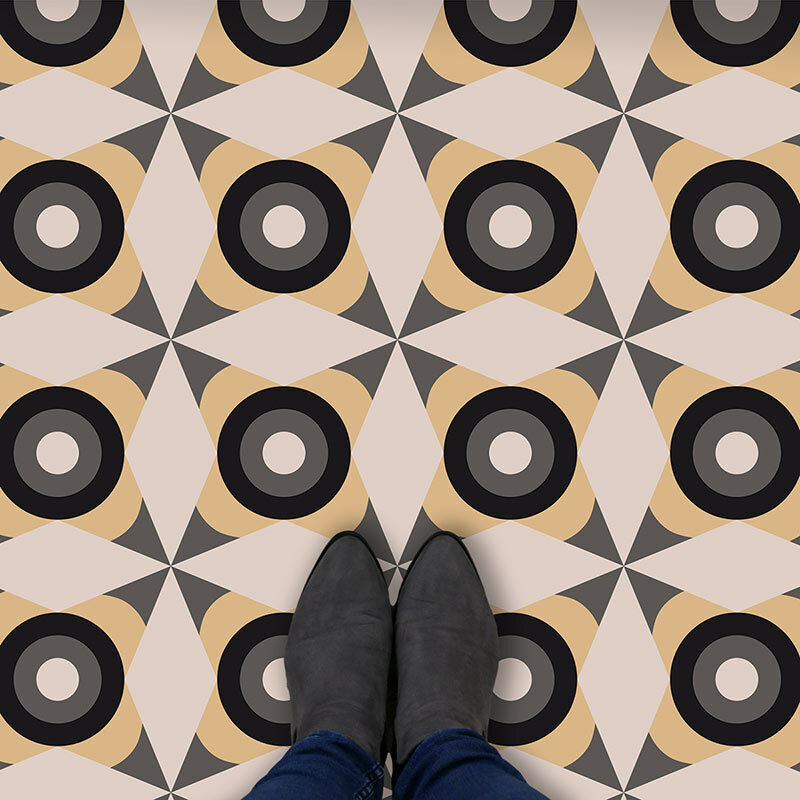 Like record vinyl, bold and bright flooring was something your mum had in the 70s. As the flared trousers and platform heels disappeared into history, so did the colourful designs. On came the muted 80s and 90s. The gaudy colours of yesteryear falling way back in Father Time’s rear view mirror. Thankfully, some things have a habit of coming back around. To be equally grateful for, it’s not the platforms and velour tracksuits we’re talking about! And it’s not just George Clarke. 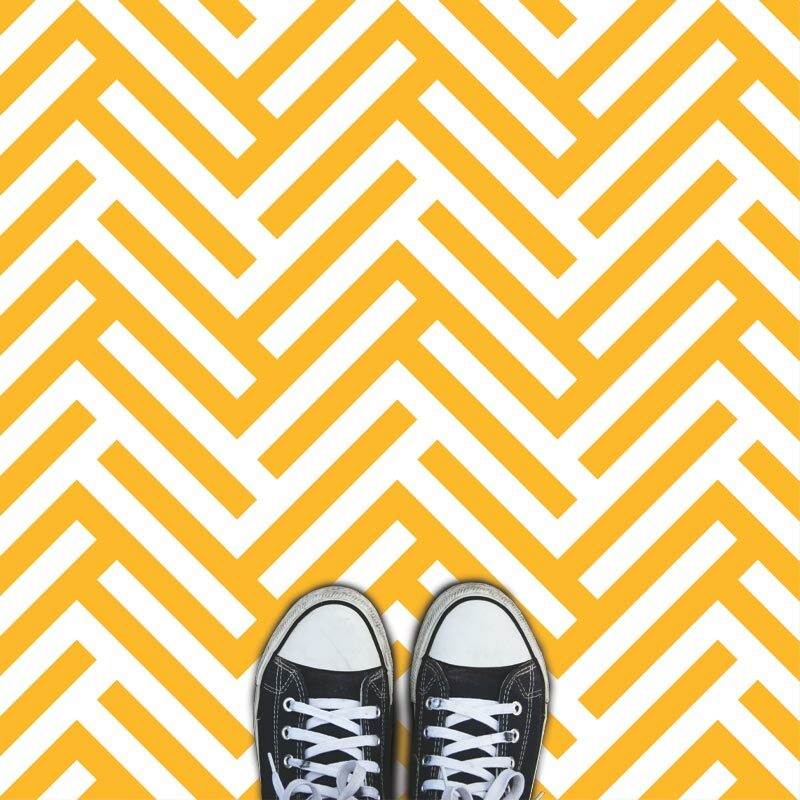 This article from the Sunday Times states: Vinyl Flooring Has Found It’s New Groove! Is your home ready for it? All of our patterns are available at up to 2.9m wide. Click the link for more information on why we only use wide width vinyl flooring. 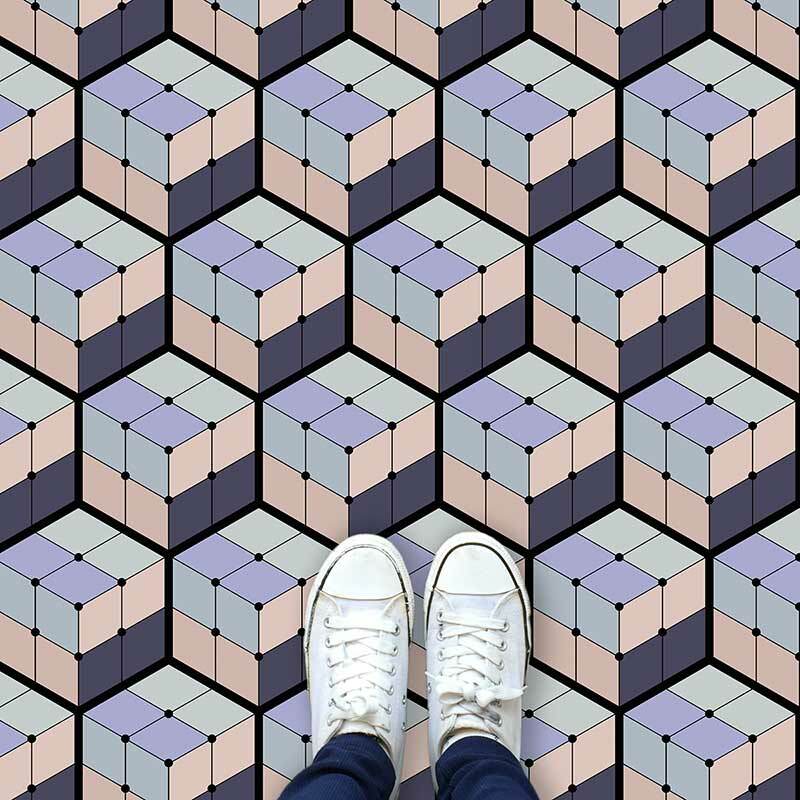 PS – We’ve got more posts on modern designs for vinyl flooring, pastel flooring plus our tip for this season’s hottest colours and patterns.